To say that it exceeded all our expectations would be understating it. 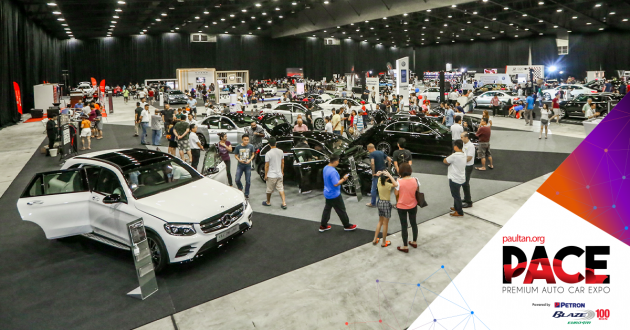 The inaugural paultan.org Premium Auto Car Expo (PACE) 2018 powered by Petron Blaze 100 Euro 4M surpassed our targets in terms of cars sold, value of vehicles sold, test drives and visitors; and we at Driven would like to thank all our partners and readers for your invaluable support – we are truly humbled, thank you. Readers? Most of the almost 20,000 visitors who came through Setia Alam Convention Centre’s doors over the November 3-4 weekend were readers of paultan.org, and we know this not just from surveys, but because 90% of the the marketing, promotion and publicity for PACE was done on Driven’s own platforms – mainly on paultan.org and CarBase.my. To be honest, there was a degree of risk with this approach as opposed to casting a wider net (radio, outdoor, social media), but we decided to put full faith in the size and strength of our audience. PACE is a sales show – think of it as a multi-brand premium showroom with a carnival setting – so the quantity of visitors alone wasn’t enough. We, and the exhibitors, needed quality. We needed people to buy cars at PACE, to do their year-end car shopping (whether actual or window) at PACE. We knew from the first few hours of the show that all the hard work done setting up the event and marketing it in-house would pay off. We expected an easy Saturday morning and a growing stream of visitors after lunch, but the pre-lunch crowd on Saturday (some were even waiting for the gates to open) was encouraging. By the end of the first day, we’d have achieved our internal targets for the entire weekend. The final tally is 214 cars worth over RM50 million sold. Of this, 180 units were new cars and 34 were from the pre-owned selection. The total amount of cars sold was double our target, and 70% of the buyers named paultan.org as their main reference for all things automotive. Mercedes-Benz, via official dealer Hap Seng Star, sold 79 cars over the weekend, while BMW and MINI dealer Wheelcorp Premium sold 54 units, big numbers in the premium context. Of course, the mainstream premium sedans and SUVs attracted the most attention (along with the new Mercedes-Benz A-Class) but among the cars sold were two Volkswagen Golf Rs, and a couple of AMG models and BMW 740Le plug-in hybrid limos. And wait for this, a Kia Stinger too! 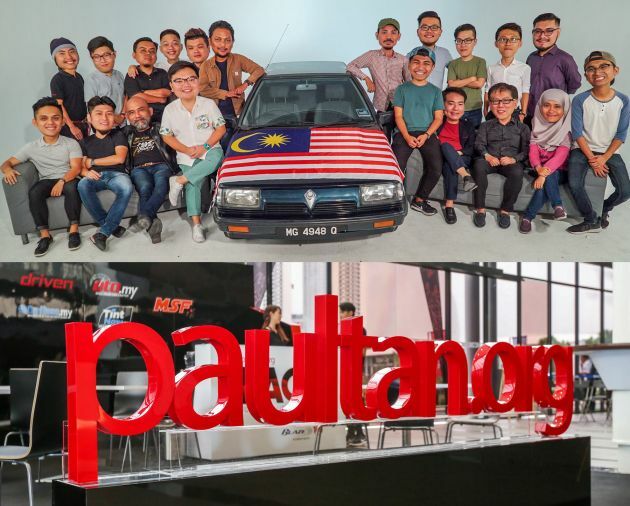 The amount, value and variety of cars sold at PACE confirms the size and quality of paultan.org‘s reach – Malaysia’s number one automotive website is followed daily by true car buyers and car enthusiasts alike. We’re happy to report that the exhibitors are satisfied with the sales garnered from PACE, but there could be more to come as the seeds have been planted, so to speak. Test drives from all participating brands ran throughout the weekend – Mercedes-Benz, for instance, recorded over 310 test drives at PACE, which is Hap Seng Star’s highest ever test drive tally over one weekend. Another vote of confidence came in the form of new model introductions and previews. The new Audi Q2 and second-generation Audi Q5 made their first official Malaysian appearance at PACE, where visitors were the among the first in the country to touch and feel the SUVs, which will be launching soon. Also making their debut were the Jaguar E-Pace and Volkswagen Arteon – expect to see both cars in showrooms next year. The freshly-launched Mercedes-Benz C-Class facelift and A-Class were also on display. We hope that you enjoyed getting up close and personal to the premium machines at PACE 2018. We at Driven would like to record our appreciation for all the exhibitors and visitors who came to the show. Thank you, and see you next year! Syabas and Tahniah to PT and team. Hopefully next year I can come and make a purchase (hopefully a three-pointed star). Great job Paul Tan and team. We are proud of you guys!!!! Congrats from me too. But 214 is not a great number. Remember, Malaysia sells more than 500k cars every year since the last 12-13 years and that is averaging 1.6k every day. These are premium cars, however. The market TIV is expected to be around 585,000 this year, and assuming 5% of that are premium cars, that’s just shy of 30,000, or an average of 80 per day, 160 over two days. We achieved more than that over one weekend, at a single venue. got my BMW 6Series GT there too. Congrats PT! Congrats paultan.org team I now have a venue to go to if I wanted to get a good bargain off a premium vehicle. Went there to get my first car, Perodua Kancil…couldn’t find it. Went back disappointed. Perodua Kancil go to luxury KLIMS wei. They sold quite a few, mostly the Passat and Tiguan. Including 2 Golf Rs, as mentioned in the article! 1. Arrived early at 7am on 3rd Nov 2018 at location. 2. Nearby event attended by TDM and Health Minister was about keeping fit. The minister was a friend of mine. 4 . Wonder around and it was good, plan to make booking for tiguan but went first to this ah tan booth asked where the hp for first 5 buyer that made booking and loan approved by cimb 1minute loan approval but the amateur reps said all 5 sgnote9 have been grab@stolen by others who book and paid by cheque for the booking with respective dealers plus loan approved before 9 am on saturday. Aiyakkk. 6. Cimb person in charge had to go to ah tan booth to clarify but ah tan answer was worse than jlow. Aiiyak. Cancel booking and purchase. 7. Pace , dont make kanasai on your first year of an event. Display all the hp@prize at your booth and update it at your booth who had won it and what car that the customer buy. More gentlemen and transparent. Hi, thanks for the feedback. As always, we’ll try to improve our next events. FYI, the Samsung Note 9 giveaways were not tied to CIMB 1minute Loan in any way, as was made clear at the event. Customers were free to get financing from any banks, or the car brands’ own financing services, and the first five customers would be entitled to the free phones. According to our records, the first five customers were filled up by 9.03am on the Saturday. Also, we wouldn’t/couldn’t announce or display the winners and vehicles bought due to privacy concerns. We truly appreciate your feedback, however. We’ll take it into account for future events. Thanks. Really had to mention the minister is your friend huh buddy? Classy. The activities are run by the respective brands, how is that Paultan & PACE’s fault? Please organize it every year and at the same venue ie Setia Alam Convention Centre. Hi PT Pace organizer, I have drop a message on your FB regarding the t-shirt size that was in my goodies bag is too small for me. So far no reply to my question as to can I change my size because during the day of booking the counter girl said to check with you all later.